Increase the collection you have readily available for your students, patrons and employees. For libraries and research collections this means more resources and a greater depth of information. For government entities, having digital images readily available can save hours of time on projects. 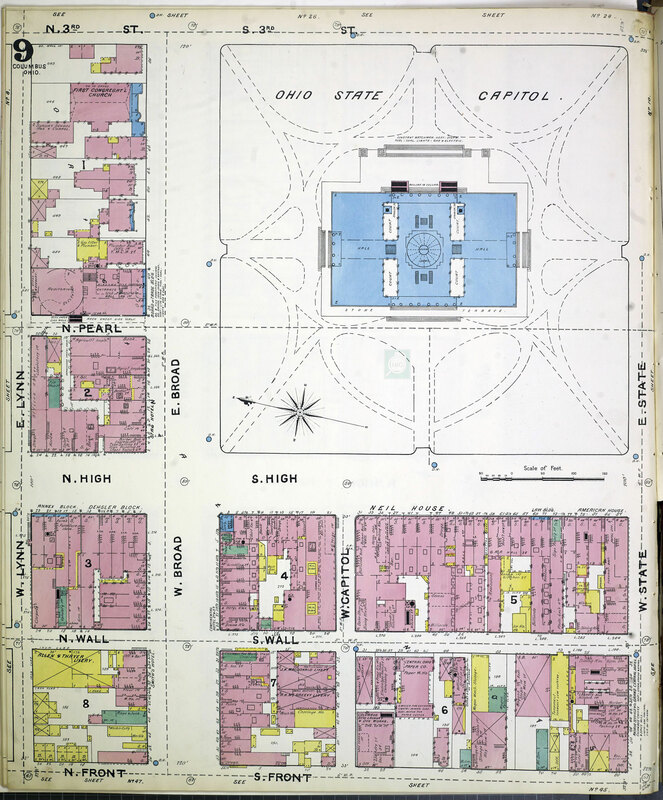 In addition to providing access to a variety of maps and historical property information, we frequently work with libraries and government agencies – including the Library of Congress – to digitally scan their collections of historical maps and aerial photographs. We catalogue these images for you and can georeference them to work with GIS software to make it easy to search for and view maps and aerial photographs for a particular location of interest. The large size and unusual shape of some historical documents can make them a challenge to work with. Plus many are in fragile condition. We’ve designed and built specialized scanning equipment to both protect the original material and produce very high quality digital images. If you have a collection and would like more information about our scanning or georeferencing services, call HIG President David Hodnefield at 952-253-2004 ext. 111 or see our GIS/Scanning page. 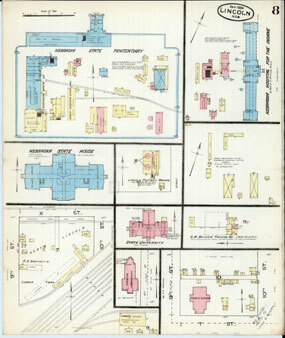 Have you seen our new collection of color fire insurance maps from the Library of Congress? 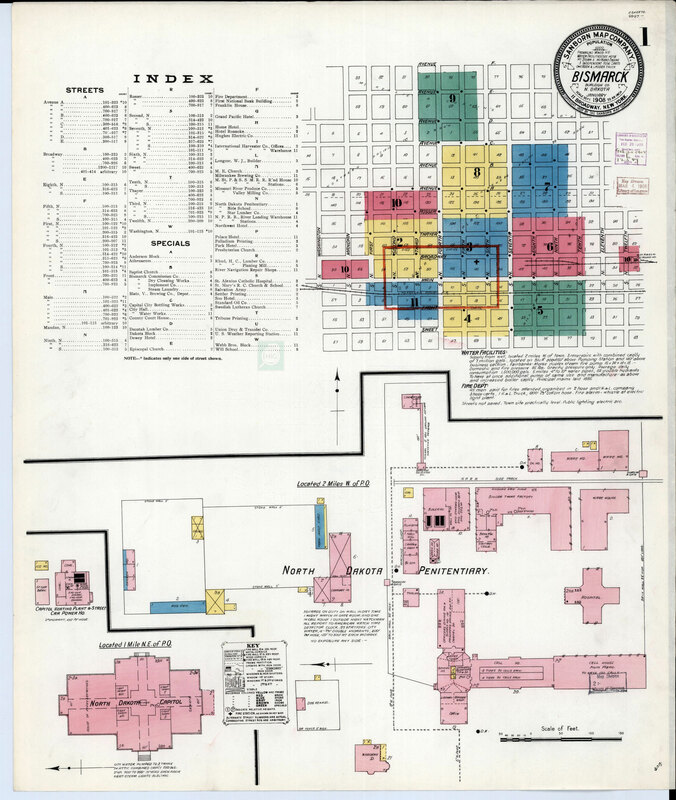 The Library of Congress selected HIG to make high-quality color scans of over 500,000 historical fire insurance maps available in electronic format for the first time. Read below to find out how these maps can benefit your library, historical society or government entity. In June 2017, HIG released our new Fire Insurance Maps online (FIMo) subscription service for libraries and historical societies, which includes our entire collection of Fire Insurance Maps and Real Estate Atlases. See our FIMo page for more information about this easy to use research tool that your patrons will love! Brownfield inventories and identification of historic structures have become necessary for cities, counties and states as they redevelop areas owned and occupied by multiple parties over the decades. Current fire insurance maps that are digitally available in black and white sometimes provide only a vague idea of what was present on a property, which can result in overlooked historic details and environmental risks. By having access to high resolution historic property maps from HIG, planners, brownfield professionals and researchers will have a much improved resource to work with. 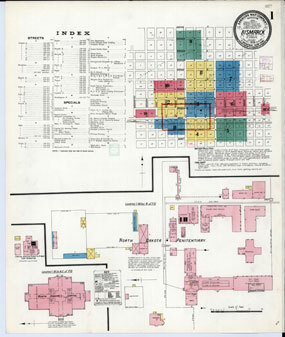 For example, black and white scans of fire insurance maps often obscure important details by changing the original map colors into dark gray or black areas. On those scans, it’s easy to miss writing or symbols that indicate the presence of petroleum or chemical storage. These potential environmental risks and other important details are much more visible on color scans. The color-coding used on the maps provides information about the historical building materials, which is very useful when setting architectural standards for a redevelopment area in order to maintain its historic character. HIG has the experience and expertise to georeference these maps, allowing you to load them into the GIS system used by your city, county or state for an additional layer of information on past property uses. 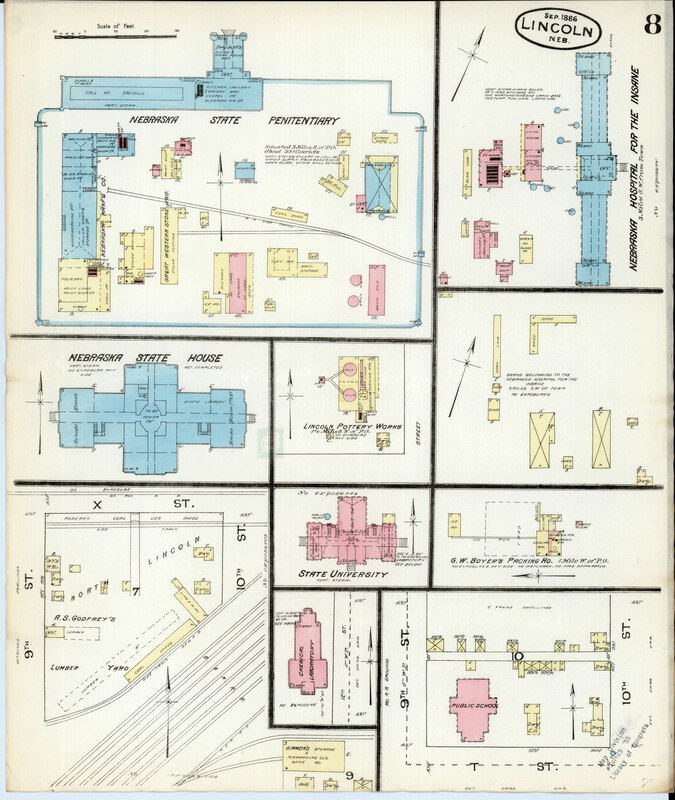 These highly detailed antique fire insurance maps will be a valuable addition to your historical society or library collection. Our maps are free of copyright restrictions so they can be used to enhance existing collections or to create new exhibits. 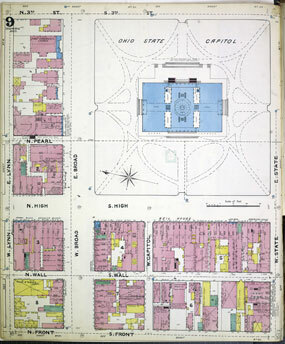 The color-coding of these historical maps specifies the building materials used, providing your patrons with more detail about building construction materials and the changes that occurred over time. For example, sociological studies could be complemented with research compiled from the maps about key community structures built many years ago and the land uses in the surrounding community. Planners and historic preservationists will be able to use the color-coding to determine what building materials were originally used as they advise on the restoration of historical buildings or the redevelopment of a historic area. To read more about this project visit our Library of Congress Digital Map Project page. If you have questions about a specific area of interest or need information for your next project, please call David Hodnefield at 952-253-2004 or email us at fims@historicalinfo.com for more information.